Once you are in Rio de Janeiro, you will never forget this wonderful city with its beautiful beaches, dramatic landscape, delicious cuisine and omnipresent sounds of Samba music. We are here to show you all of this magic city. What is the itinerary of the tour? Our knowledgeable, local guide will drive you to Christ the Redeemer Statue on Corcovado Mountain, located in the authentic Tijuca Forest (the biggest urban rain forest in the world) built as a symbol of blessings that welcomes all world citizens with his open arms, that now overlooks the city and attracting visitors from all over the world. On your way down, you can stroll through Santa Teresa neighborhood famous for its winding, narrow streets, little handicraft shops and the bohemian life and the magnificent views of the city downhill. Besides, you can take a visit with your guide to enjoy the breathtaking view from the top of Sugarloaf Mountain that inspired many artists, have a nice walk on Copacabana or Ipanema beach, or try the unique taste of real Brazilian food in a local Churrascaria. Any other attractions, such as a visit to Maracanã Stadium, the Sambadrome, the Metropolitan Cathedral, a hike in the Tijuca Forest, etc., can be included in your individual, flexible tour. Of course, you can always add your own attractions. Your guide will be your concierge, helping you during your trip and telling you all about local life and the history of Rio de Janeiro - seen from the perspective of a local carioca. Enjoy a great city tour of Rio de Janeiro from the comfort of a private car with a local, knowledgeable and English-speaking driver/guide. Fares are per vehicle class, not per person! Please note that meals during tour and ticketing is not included in the fare, but can be added upon request. Tickets to Sugarloaf and Corcovado are approx. 35 USD in total (per person). LingoTaxi will arrange for your tour a knowledgeable, local English-speaking driver/guide who knows the city inside out. For your convenience, we have an hourly rate, not per person, but per vehicle class. The minimum tour duration is 5 hours. LingoTaxi offers visitors to Rio de Janeiro three different tour options: A must-see tour, a full-day tour or a flexible, individual tour. In case you wish to extend the duration of your must-see or full-day tour with our guide, you can simply extend by our hourly rate quoted under the flexible tour. Our drivers will not only show you the places you are interested in, but can also assist with taking pictures, advise you where to stop for tasty local food, take you to places where you can buy souvenirs or to get postcards to send home to your family and friends. 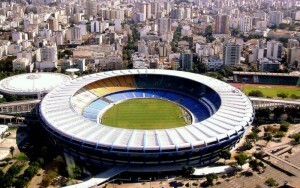 A temple of worship for football fans worldwide – the venerable Maracanã Stadium. 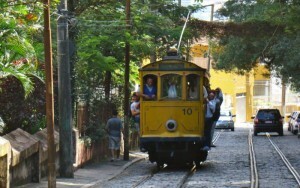 The historic tram in Santa Teresa neighborhood, which reopened in 2015. 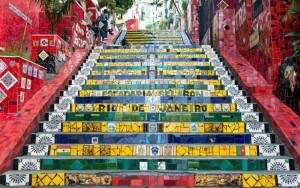 Lapa neighborhood, famous for its winding, narrow streets which are a favourite spot for artists and tourists. The world’s most famous beach, known from the equally famous song “Girl from Ipanema”. 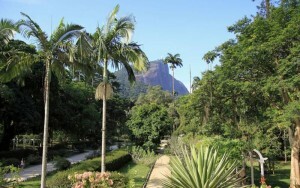 Stroll through the beauty of Rio’s huge botanical garden, or visit the old gunpowder factory. The impressive Christ the Redeemer Statue overlooking Rio de Janeiro will leave you speechless. If you're on a tight schedule, you can explore the main sights with our 5 hour must-see tour of Rio de Janeiro, including a visit to Christ the Redeemer Statue and Sugarloaf Mountain with your local English-speaking guide/driver. Enjoy a flexible, individual tour according to your wishes and preferences. All you need to do is provide us with your preferred activities and wishes when you make a reservation for a tour, and the amount of hours you wish to spend. The LingoTaxi team will then prepare a tailored private tour for you! The minimum duration of a flexible tour is 5 hours. 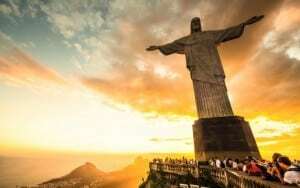 Relax and explore Rio de Janeiro on our 8-hour full-day tour which includes a visit to Christ the Redeemer Statue, Santa Teresa neighborhood, Sambadrome, the Metropolitan Cathedral, Selarón Steps and Sugarloaf Mountain, or any other location you wish to visit with your local English-speaking guide/driver. If you have any open questions, you can contact us by phone, email or chat. Or just simply fill out the question form below, and our team gets back to you by email as soon as possible.